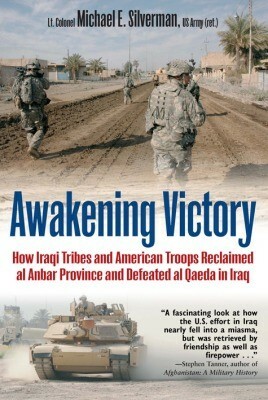 In August 2006, many thought America had lost the war in Iraq, as the senior U.S. Marine Corps intelligence officer there wrote that control of al Anbar Province, the seat of the raging Sunni insurgency, was irrevocably lost to the insurgents. During that time, there were over 100 attacks per day against U.S.
• Unique account of the beginnings of the Global War on Terror campaign to free Iraq and a revealing insight into how US military and Iraqi troops worked together to combat insurgents. In January 2007, as a spearhead of the newly decided"Surge,” the 3rd Battalion, 69th Armored Regiment deployed to Ramadi as part of the 3rd Infantry Division, the first regular Army unit to deploy to Iraq for a third time. The battalion and its parent brigade went to work in a campaign that will be seen as the D-Day of the Global War on Terror. Awakening Victory tells the story of this incredible campaign through the eyes of the commander of the 3rd Battalion, who was right in the thick of the fight. The book also provides a description of the Iraqi insurgency that offers the depth and texture that are currently lacking in most American's perceptions of the war. The author uses the actions of his battalion to describe a paradigm shift that occurred, while in a totally foreign culture, yet allowed for a move from a war of bombs and bullets to one of partnership and ideas. Lt. Col. Michael E. Silverman (ret) is a political scientist and historian by education and has extensive experience in both warfare and Middle Eastern affairs, including a tour as an advisor to a Saudi Arabian infantry battalion in Riyadh.